Wesley loves to run. He considers himself the fastest thing on four feet—well, almost. 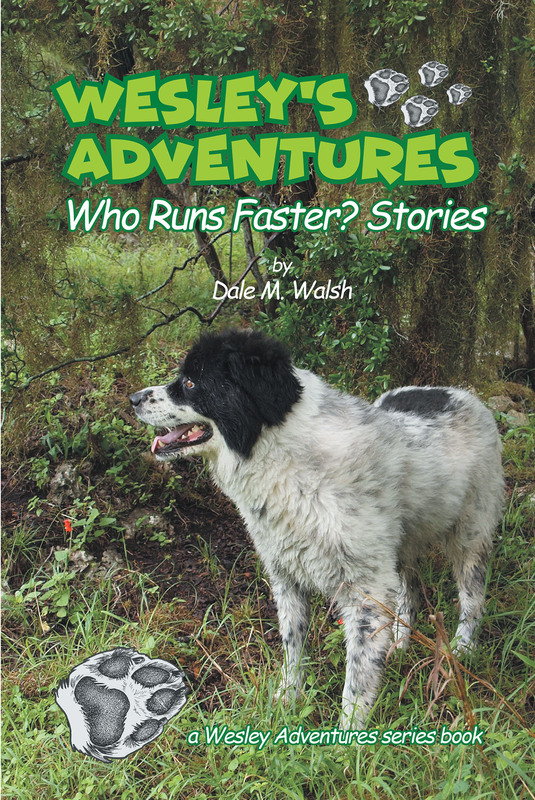 Three Wesley's Adventures stories are selected, each about running fast and who runs faster. In the “Wesley's Marvelous Nose” story, Wesley, during a hike with Granddad, smells the scent of a rabbit ahead on the trail. As Wesley comes nearer sniffing the ground, Mr. Rabbit runs for his life. Wesley gives chase, slowly gaining on the exhausted rabbit. Mr. Rabbit tries to hide and rest. But Wesley's marvelous nose leads him to the hiding place, and the race continues. In the “Wesley and the Roadrunner Races” story, a small voice brashly interrupts Wesley's nap challenging him to a footrace. This unusual challenger runs on two feet, not four—thus begins a three-race series to see who runs faster. “Outrun by a dumb bird!” Wesley mutters after the first race. The “Wesley to the Rescue” story begins when an excited Mrs. Mockingbird brings news that an intruder is loose in Wesley's territory. Puzzled, Wesley rushes to investigate. What he discovers leads to a heart-thumping chase and a chilling confrontation fueled by ancient instincts that ends with. . . but that's for the story to tell.